... may the Koni gods be with you! Satalite guy is coming by between 8-12 and supposedly on the earlier end so I should be out there late AM or lunch time. Steve, you gonna get Jason to bring out the 968???? Steve, what are the odds that if we all met at Strattons one Sat that Nelson could bring over the smoke machine to use to run through our cars? Keith, would be cool to see you outside of work, hope you can make it. ++ Lunch is infact included in your registration fee. Last time was lots of yummy fried chicken. We had a Carrera GT there today... wow, the sound was sweet. 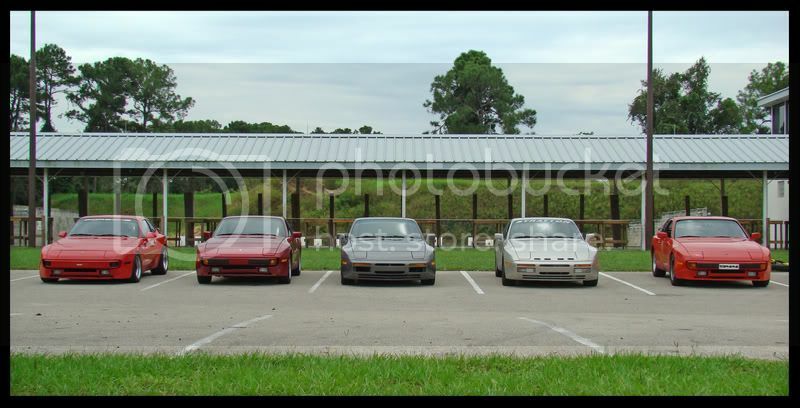 many pictures to come... My buddy Jonathan with the darker red 944 took about 680 pictures, so it will take me a while to go through them all and fix them up. here's just a teaser for now! The pictures make me want to put my car back together even more! I think my Suburban would have been a bit out of place, though. I could have brought my turbo with me! Nice pic, who was in the grey one? I do not recall seeing that car all day? Nice touch with red on each end. Hmmm, with over 680 pics, I don't suppose there are any of me in there? and the Caymans sounded pretty good as well. Your new wheels really set the stance on you car now!! I'll have to have a word with Jonathan and see whats up with that!!! The grey 951 was Todd's, he showed up just after lunch. 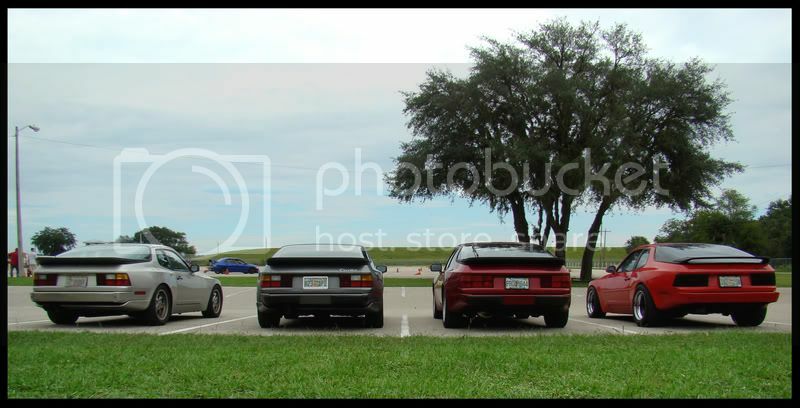 here are all the 944 group shots.... enjoy! I'll post a few of the actual racing shots as soon as I get them done!